Joe’s is a 20,000 square foot warehouse-style venue located near Lincoln Park in Chicago. 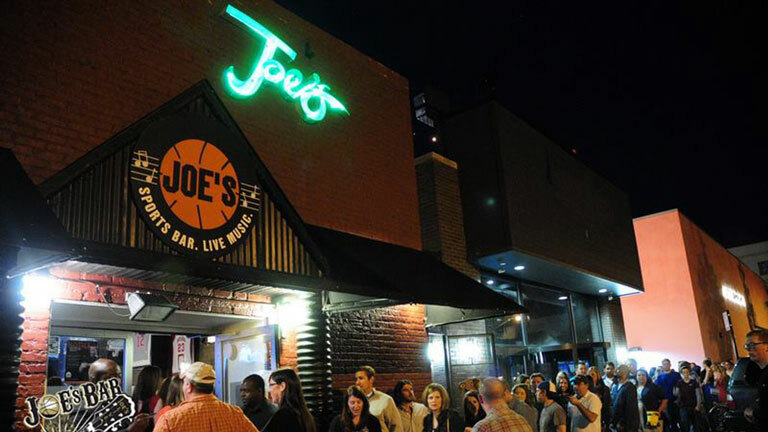 Joe’s specializes in sports, live music and private parties. Joe’s features five party room, each offering its own unique environment. With over 120 plasma televisions and high definition projector screens, Joe’s is sure to have your game on TV! We are host to 4 different college alumni groups such as the Fighting Illini, the Indiana Hoosiers and the Arkansas Razorbacks just to name a few. There is no better or bigger place in Chicago to catch all the NFL, NCAA, NBA or NHL action. With 14 satellites, we can show all the games at the same time. Joe’s is also host to both national and local music acts. We have been home to acts such as Eric Church, Brad Paisley, Miranda Lambert, Dierks Bentley, Randy Houser, and Salt N Pepa. We also have monthly performances by local bands such as Rod Tuffcurls & The Benchpress, 16 Candles, Wedding Banned and many, many more. Check out our calendar of monthly events. Most tickets for shows are available on TicketWeb or at our box office here at Joe’s. Check out our concert schedule to see each individual concert and where/when tickets are available. Planning a private party? Joe’s is the perfect choice! Whether it is a corporate event or a surprise birthday party, we have the perfect room for you. Joe’s can accommodate parties of 15 to 2,000 guests. We have a full on-site sound and lighting system and incredible AV capabilities. JOE’S IS A 21 AND OLDER VENUE. You must be 21+ to attend all shows and events.